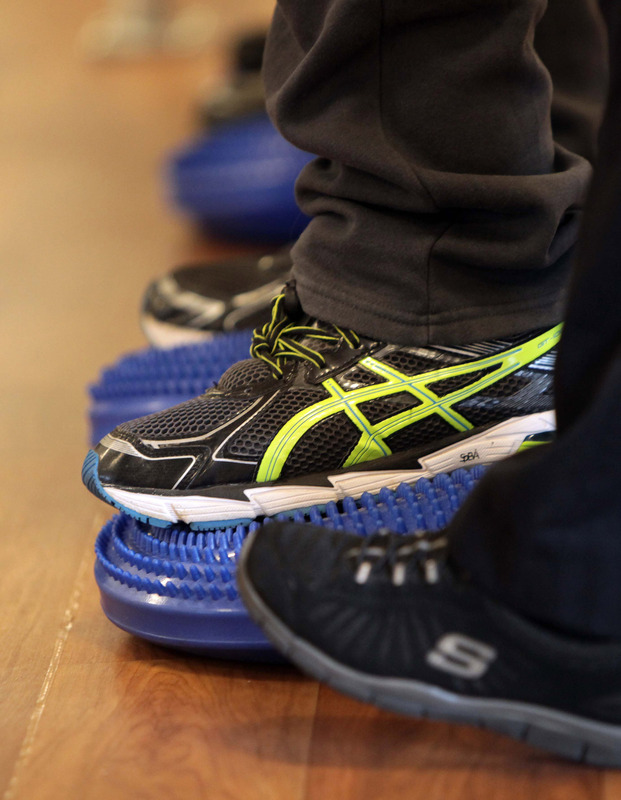 The Allied Health team deliver the ‘Gait and Balance’ program which is targeted at preventing people from falling. The program works with people who have difficulties with their balance, the goals of the program are to improve walking, sitting, standing, and good posture. There is a screening session for people who feel unsteady, have poor balance, and are at risk of having a fall, or who have had a fall. The team work with the person to look at risk factors that may lead to a fall and create an action plan for that person. This session lasts for up to 2 hours. The action plan and the results are sent to the patient and to their doctor. Suitable people can then attend classes for 15 weeks to improve strength, fitness and balance. People will then be invited back to monthly review classes to monitor their progress. Other people may receive their own exercises designed for each person individually.